Here in Australia, where I live, as many of you know, it is autumn and we will soon begin preparing for winter. As I get my heavy jumpers (sweaters) out of storage, my friends in the northern hemisphere are experiencing the first signs of spring. And teachers in faculty meetings from Maine to California hear the dreaded announcements for upcoming testing. I feel your pain. In Australia, the NAPLAN (The National Assessment Program – Literacy and Numeracy) is administered annually in May. Those seemingly endless days of standardized testing that can make us second guess our career choice are upon us. While there is no question that because so much can be riding on test scores, both teachers and students alike experience high levels of stress during testing season. The No Child Left Behind Act mandated yearly testing in all states. Standardized tests have been around since the mid 1800’s and most likely will not be going away any time in the foreseeable future. Volumes can and have been written on the pros and cons. For the time being, the most constructive thing teachers can do is create a calm, peaceful, supportive testing environment. We don’t have to like testing or agree with it, but with a little planning, preparation, and readily available resources, we can make it bearable. Click HERE to sign up and download these FREE R.E.L.A.X. resources. TIP NO.1: EQUIP YOUR STUDENTS WITH TEST TAKING STRATEGIES. Don’t assume your students know or remember basic test taking strategies. Students who have a toolbox of tactics such as answer questions you don’t know first and don’t stay on any one question too long, will approach the test with more confidence. If you are looking for a book to read to your class prior to testing time, The Anti-Test Anxiety Society by Julia Cook is a terrific book about a girl named Bertha Billingsworth who loves school and her teacher, but hates tests. Bertha (known as BB) experiences test anxiety and learns the “Dynamic Dozen” test taking strategies. 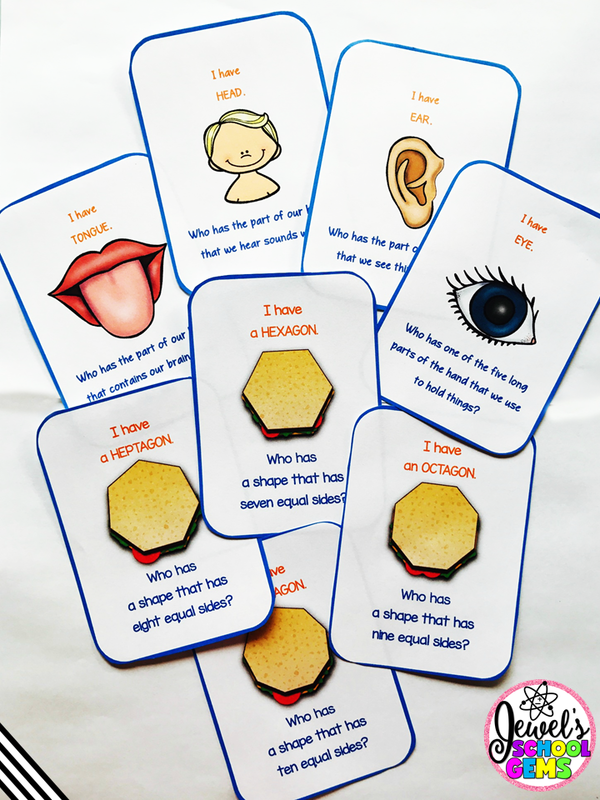 While 12 may seem like a lot for younger children, most of them are things students have heard before, illustrated in a way they can apply to the test. Alternatively, you can encourage students to choose 2 or 3 strategies they think will work best for them. You can teach your students to R.E.L.A.X. R – Read the question carefully and then re-read the passage or problem to find the correct answer. L – Label your answer in the passage or problem. A – Always check your work. X – X out answers that cannot possibly be correct. 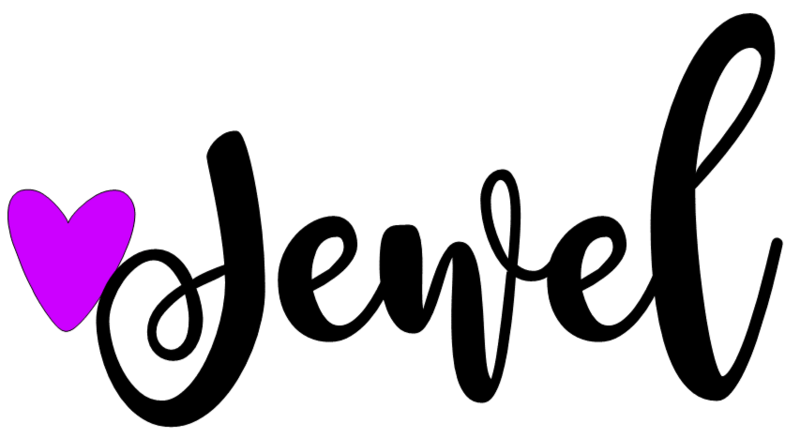 You can easily create bookmarks or a poster to illustrate and reinforce this testing acronym, or better yet, sign up to become a Jewel’s School Gems subscriber and receive FREE R.E.L.A.X. resources! TIP NO.2: AIM TO MAKE REVIEW SESSIONS FUN. 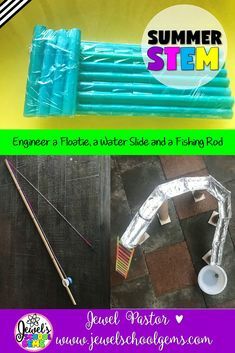 The word “review” always suggests memories of uninspiring, drill and kill type of sessions, but here are some ways you can create engaging reinforcement activities with very little effort. The few extra minutes it takes to turn review work into a game is so worth it in terms of outcomes. A great way to reinforce previously learned concepts is by playing Bingo and I Have Who Has games. If you are in a time crunch, you can find several inexpensive bingo and I Have Who Has games in my TpT store. 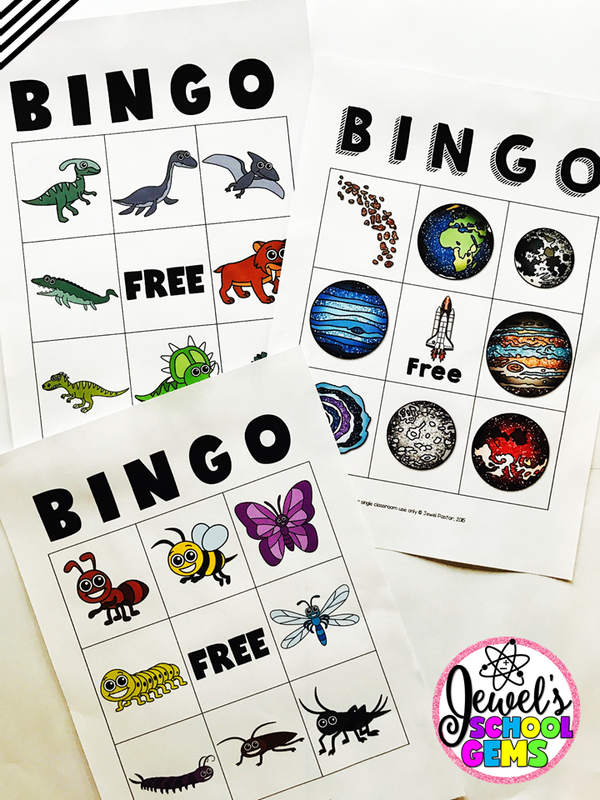 Click on the image to see these Bingo cards on TpT. Click on the image to see these I Have Who Has cards on TpT. Write the Room for Test Review is also a way to get kids moving and thinking. Tape numbered test questions around the room and have students go to each area and record their answers. Vary the difficulty of the questions and allow students to work in pairs for collaboration. If you are up for a bit more work and a lot more zing, the website www.thebalance.com offers links to a number of free PowerPoint templates for game shows. You can plug information into the templates and use for review with your class. Among the game shows highlighted are Family Feud, Jeopardy, Deal or No Deal and Who Wants to Be a Millionaire. Some of the games are very basic and some include animated graphics and sounds. 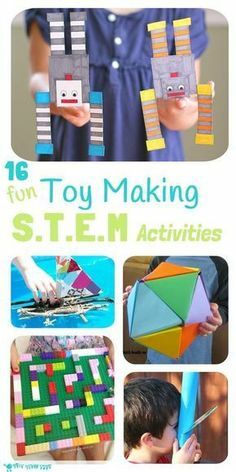 These are great to use because our kids are so technology focused! For low tech options, simply divide your class into teams and have some small prizes ready for the winners. 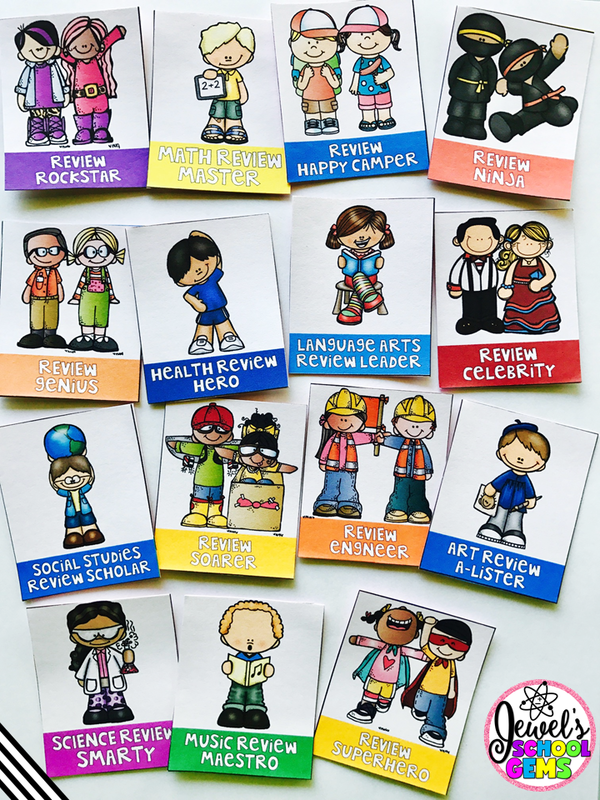 If you are using reward tags with your class (or even if you haven’t before) check out these Review Reward Tags. My class loves competing for them! You can read about how to implement High Value or Limited Time Reward Tags here. Click on the image to see these review reward tags on TpT. Did you know that researchers from Johns Hopkins University have suggested coloring as an alternative to meditation? It’s true! 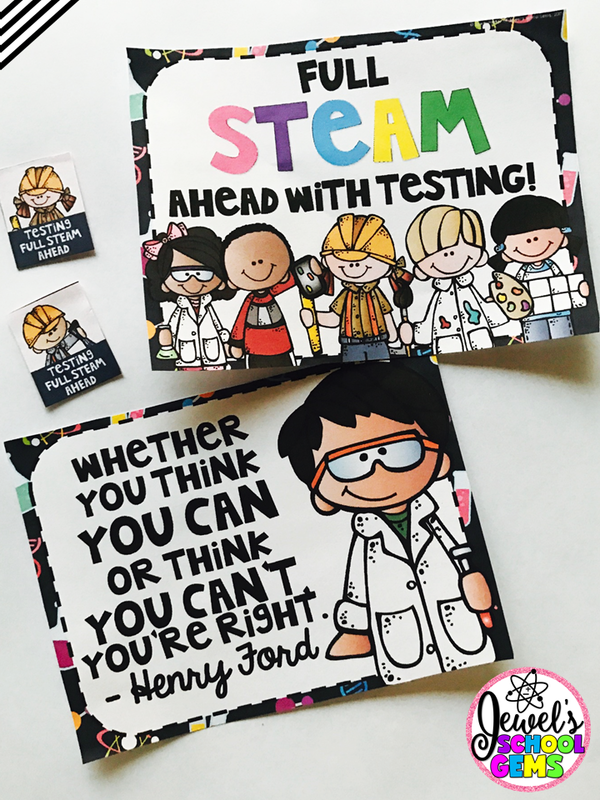 For a fun activity that combines stress reduction and motivation, try these Testing Motivation Posters for students to color with quotes from famous scientists and inventors. De-stress by following testing sessions with coloring sessions. Be sure to join your students, you will be surprised at how calming coloring can be. Hang their masterpieces around the classroom for continued growth mindset inspiration. 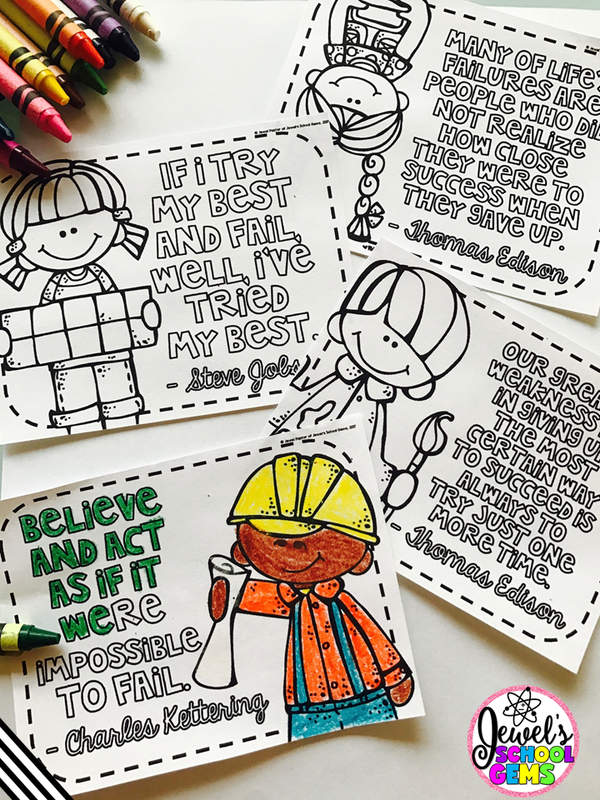 Click on the image to see these Testing Motivation Posters and Coloring Pages on TpT. Yoga is another tried and true method for reducing stress. While it would be nice to be able to provide students with a yoga class prior to testing, I am guessing most of us don’t have the luxury of that option. I have created Yoga Brain Breaks to incorporate yoga poses with math review. My students really enjoyed them and asked for more. 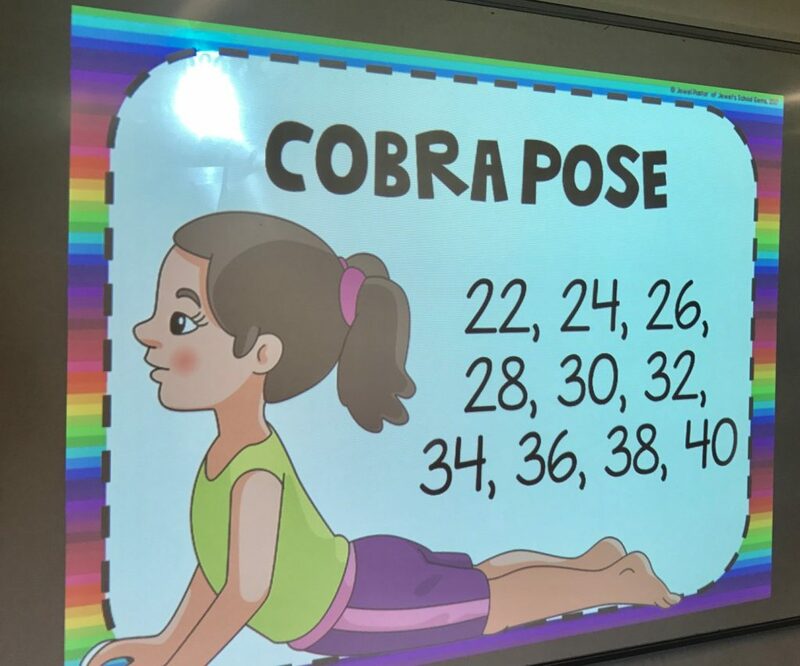 Click on the image to see this Even and Odd Numbers Yoga Brain Break on TpT. During testing week keep classroom morale high! 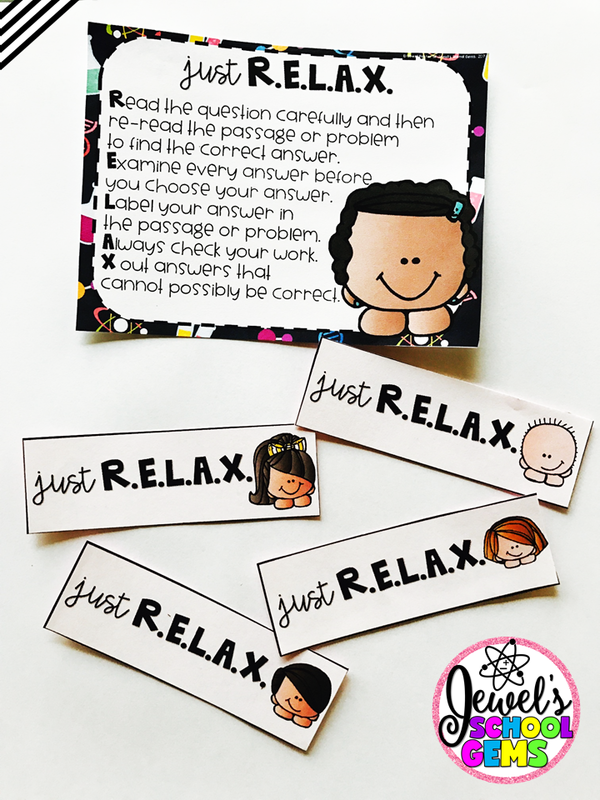 Motivate your students with this FREEBIE I have created for you! 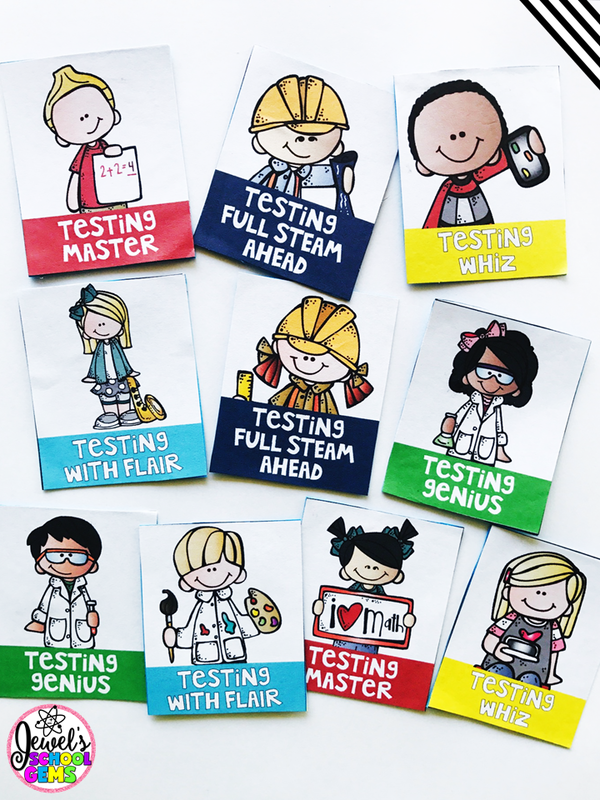 It includes a Testing Sign, Testing Motivation Poster and Testing Reward Tags. If you love it and want more, you can find them in my store. Click on the image to download these freebies in my TpT store! TIP NO.4: REMEMBER YOUR SPECIAL NEEDS STUDENTS. If you have special needs students in your class, be sure to check their IEPs before testing. There are often special considerations in the accommodations section. You want to be sure you have everything you need to be in compliance and can follow up on anything that is unclear before the day of the test. TIP NO.5: CELEBRATE AFTER TESTING. Once testing has ended and everyone breathes a collective sigh of relief, make sure you celebrate! Some places have a big schoolwide party. One school I heard about does a “Hot Dog It is Over” shindig. Parents, teachers and administrators collaborate to merge Field Day with a hot dog barbecue for a full day of exercise and treats. Other teachers celebrate on a smaller scale with classroom parties. If a party doesn’t appeal to you, or your school does not allow them, there are other ways to recognize students’ efforts. Allowing your students extra recess is always a big hit. Your class will love you and everyone will benefit from the exercise as you move into the last weeks of the school year. For a more personal touch, awards are a wonderful way to show students you think they are successful and valued. Bestow them with Testing Reward Tags that they can add to their collections or wear home with pride. Click on the image to see these testing reward tags on TpT. You have done all you can to prepare your students for the test emotionally and academically. You have taught well all year and you have strategized, reviewed, motivated to get everyone equipped for the tests. Now, it is time to think about yourself. Do the things you encourage your students to do. Get a good night’s sleep, eat a healthy breakfast, and get some exercise. Then do something nice for yourself. Indulge in a guilty pleasure. Watch Gilmore Girls re-runs, knit a scarf, or read a few chapters in a book (not school related!). Whatever your thing is, make time for it on testing days. I know this is difficult if you are a mom (or dad) and have kids that are also being tested at the same time. Consider having take-out for dinner or defrost a healthy meal you froze the week before. Have a glass of wine. Take a bubble bath. Chill. You deserve it. Want Testing Resources for FREE? 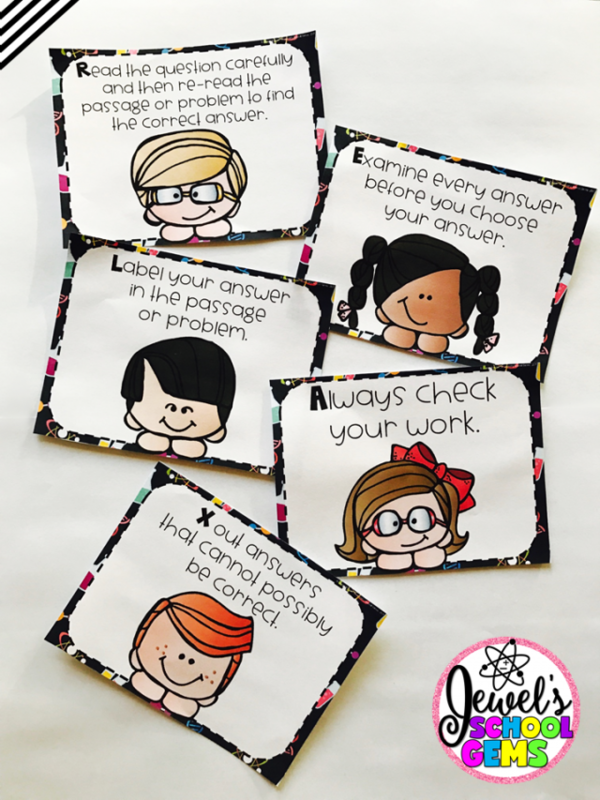 If you want a set of FREE R.E.L.A.X posters and bookmarks, just sign up to become a Jewel’s School Gems subscriber to access my Free Resource Library! 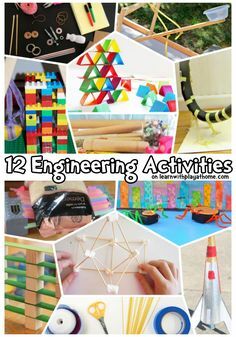 Get these plus many other Science and Math resources. Sign up today! How can I access things on the site. It’s asking for a password, but I don’t see any place to create one. I signed up. Hi! Please make sure you have confirmed your subscription to receive a welcome email with the password. Please check your junk or spam folder too in case the email lands there. Thank you!